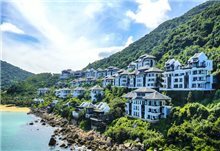 TheLEADERThe largest transactions this year, for major office, residential and retail sites, all backed by foreign capital let people gauge the fervor foreign investors have in Vietnam, Asia’s rising star. When discussing the most dynamic emerging markets globally, regional managing director, South East Asia of CBRE Vikram Kohli said that it’s hard to lose sight of Vietnam. Driving its strong economic growth is an expanding middle class with thickening wallets. Rapid urbanisation supported by a young, growing and educated population all bode well for an economy with one of the world’s fastest-growing GDP rates. With robust growth momentum, the World Bank has projected that Vietnam’s GDP will expand by 6.8 per cent in 2018. 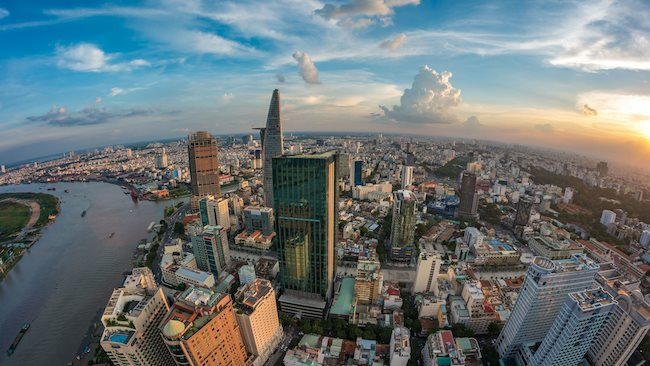 "Understandably, this has fueled the appetites of global investors looking to make their mark in Vietnam’s burgeoning domestic real estate market," said Vikram Kohli. Home to Asia’s best-performing stock market in 2017 and the second largest retail market in 2018, much of the appeal Vietnam currently holds sits, ironically, in its auspicious future. According to CBRE representative, since 2015, the bulk of big-ticket M&A transactions have been championed by those investing in property development sites, followed by hotels, apartments and offices. This is a testament to the fact that those pouring money into Vietnam are in it for the long run. 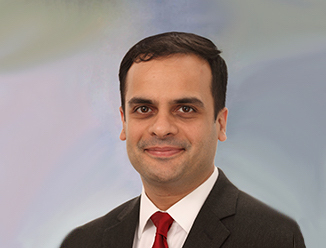 Vikram Kohli, Regional Managing Director, South East Asia, CBRE. 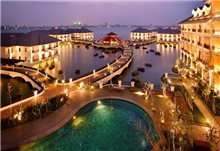 Over the last three years, foreign investment in Vietnam’s real estate market has been increasing year-on-year. 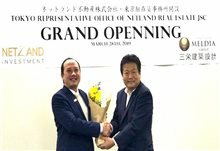 In particular, developers from Singapore, Japan and Korea have favored development sites in downtown areas and within close proximity to Metro Line stations. Local developers usually enter into joint venture agreements with foreign developers on the premise of optimizing decision-making in site sourcing and project management. Grade A rents in Ho Chi Minh City have increased from about $35 per square meter per month (psm/month) in Q2 2016 to $43 psm/month in the second quarter of this year, which translates to a healthy 23 per cent growth. Similar office rental growth has been observed in Hanoi over the past two years. In the office market, an increasing presence of international firms has resulted in developing areas absorbing the overflow of occupants. But, progress in office construction has been pleasing and the second half of 2018 will bring a significant amount of Grade A office supply onto the market. 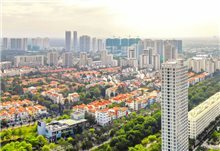 Another area generating solid demand is the residential sector, and this segment of the market stands to inject further momentum in the economy – to illustrate, the largest IPO this year was that of a luxury residential developer in which Singapore’s sovereign wealth fund GIC recently acquired a stake. Investors from Singapore, Hong Kong and Taiwan have shown much enthusiasm in the serviced apartment and condominium markets, together representing 75 per cent of total buyers in the buy-to-let market. As a whole, foreign buyers accounted for half of all successful residential deals. What this tells us is that foreign investors are not merely entering Vietnam to set up operations, they are committed to keeping their money here. This could explain the 15 per cent rise in prime residential prices in Ho Chi Minh City over the past two years. Thanks to governmental efforts to ease restrictions on the foreign holding of public companies, the future just got brighter. This allows the composition of the economic landscape to diversify and encourages foreign ownership of commercial assets – thereby creating additional demand for real estate and increasing the rate at which Vietnam outpaces its fellow “BB” rated peers in economic growth. Given the parallels drawn between the Vietnamese and Chinese stories, people might begin to speculate how sustainable demand and overall economic activity are. A differentiating factor Vietnam boasts is the relatively equal dispersion of wealth compared to other developing nations. And, to understand why else investors would be inclined to stay in Vietnam, Vikram Kohli said that people need to think in reverse. With a government that has publicly expressed the need to improve productivity and lower transaction and logistics costs, businesses are better equipped in attracting investors not only to individual companies and projects but to the wider market. As concerns about credit tightening and geopolitical uncertainties remain, it’s easy to see why there may be some speed bumps in the short term. But, escalating trade tensions between the US and China have prompted companies to shift production to South East Asia in a bid to circumvent levies. Vietnam, which is a major exporter of apparel and electronics, has benefitted from this shift of low-cost manufacturing away from China. Further, as the 2015 real estate market recovery shows, the occasional market correction is good news in the long run. And, only the largest transactions this year – for major office, residential and retail sites, all backed by foreign capital could let people gauge the fervor foreign investors have in Asia’s rising star.